Good morning, lovelies. Today I’m finally posting a new recipe. Yay! I admit I’ve been failing in the blogging department lately. *facepalm* To be honest, I’ve been trying to concentrate on getting healthy again. These past months I’ve found myself eating more and more junk food. There’s nothing wrong with the occasional indulgence (that’s what my blog is all about!) but when eating indulgently becomes an every day thing, for me that’s a problem. So I’ve been doing a lot of healthier baking recently. While I’m not trying to be skinny, I do want to eat well so I can live well. 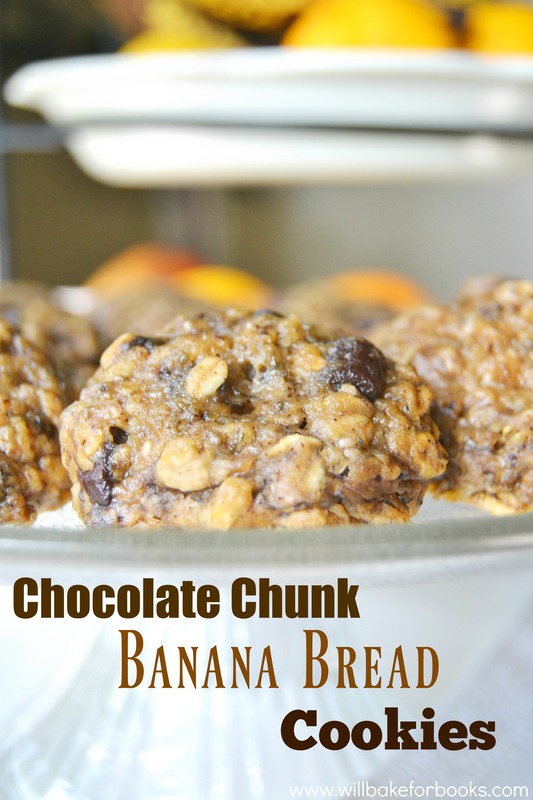 These Chocolate Chunk Banana Bread Cookies are awesome for reasons below. 3. 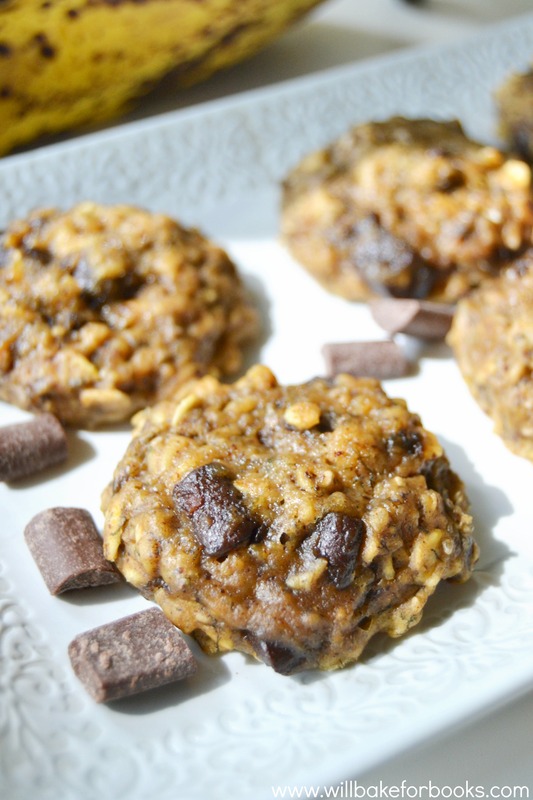 High in nutrients from oats, walnut oil, bananas, almond butter, and chia seeds. 4. They’re vegan and compatible with many other diets. 5. You only need one bowl to make these. Yay for less dishes! 7. They have chocolate. Nuff said. Took this picture straight out of the oven! These really are delicious and perfect for when you have to just run out and grab something. The only bad thing is that they only last for 2-3 days. But it shouldn’t be too much of a problem, since eating them all is pretty easy! 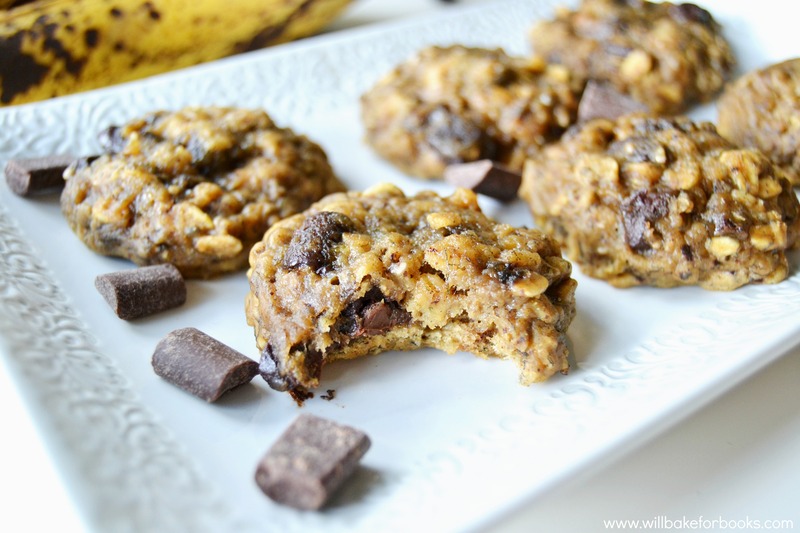 These cookies have a moist texture and taste just like a banana oat bread. The chocolate chunks give it something rich and creamy. And the cinnamon and nutmeg adds a little spice and flavor! Have I convinced you to try these yet? 😉 Check out the recipe below! 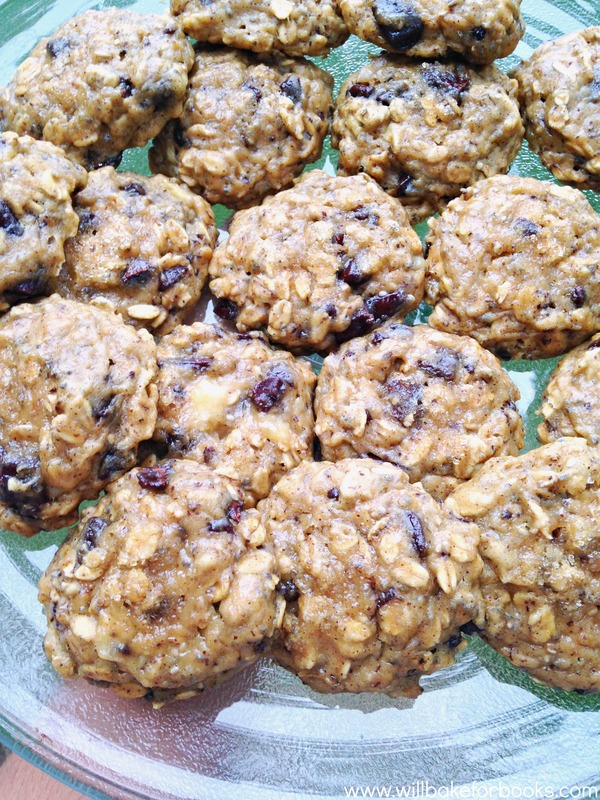 Not only are these treats yummy, but they are also guilt-free and easy to make! A perfect snack. In a large mixing bowl, mash the banana and add baking soda, baking powder, cinnamon, nutmeg, salt, chia seed, vanilla, almond butter, maple syrup, and walnut oil. Stir with a wooden spoon until well combined. Add in the white whole wheat flour and rolled oats. Stir to combine. It should be wet and sticky. If too runny, add another ¼ cup oats. Add the chocolate chunks and stir until just combined. Cover and refrigerate for 15 minutes while preheating oven to 375 degrees F.
Using a tablespoon-sized cookie scoop, drop batter onto a baking sheet lined with parchment paper or a non-stick silicon baking mat. Space about 1 inch apart, then sprinkle with raw sugar. Bake for 10-11 minutes or until they appear set. You want them moist and just cooked, so try not to let them get too brown. Let cool slightly on cooling rack and serve at room temperature. Store in an airtight container for up to 3 days. Enjoy!